10 min soundwalk for the DJCAD Masters Show 2012. A walk between the two venues of the exhibition, Matthew Building to Generator Projects. image courtesy of Prof Tracy Mackenna. simply follow the link and click on the arrow above the track Ure St Walk to download to your smart phone and take the walk with you. 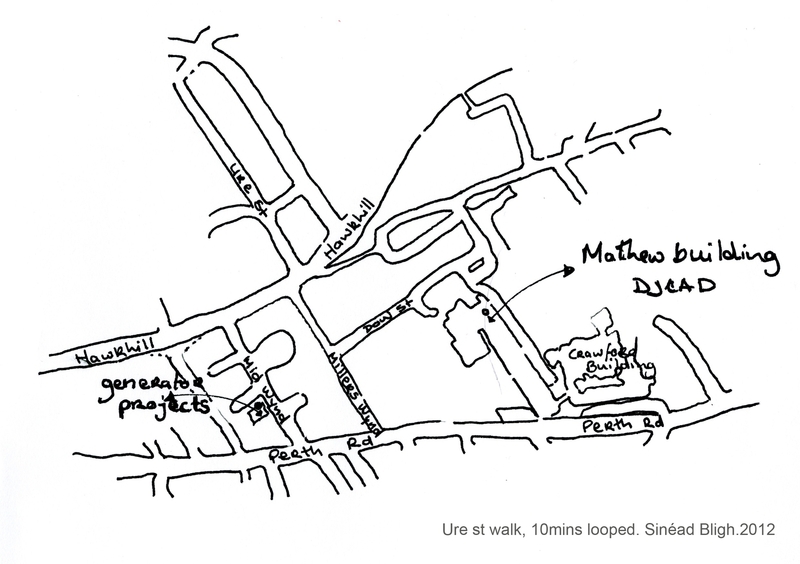 there are however plenty of hand drawn maps for you to take with you if you fancy downloading the piece and taking the soundwalk in a different route by your self.